Brussels 12/06/2018 – The Migration experts of CONCORD Europe, the European Confederation of Development NGOs, strongly condemn the decision of the Italian government to close the harbours for the reception of migrants rescued in the Mediterranean and ask all Member States to share the reception by opening their harbours, as done by the Spanish government, and by opening new regular pathways. Following what happened to the ship Aquarius and its passengers and considering what could happen in the next days, CONCORD experts express their appreciation of the humanitarian gesture done by the Spanish government and call upon all European states to fully comply with the relevant International Treaties . 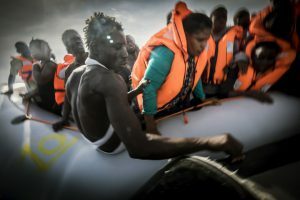 Europe’s response must be a solidary one that promotes and respects human rights, and certainly not a blatant violation of international law leaving vulnerable people in distress at the high seas.